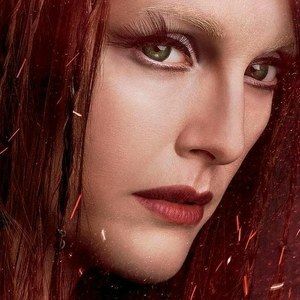 Julianne Moore is the evil witch Mother Malkin in the fantasy adventure Seventh Son. Escaping captivity, only Master Gregory (Jeff Bridges) can defeat the beautiful sorceress with the help of a seventh son of a seventh son (Ben Barnes). Stay tuned for more as Warner Bros. and Legendary Pictures bring the movie to Comic-Con 2013 for their panel on Friday, July 19 at 10:45 AM in Hall H.